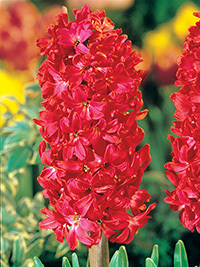 Vibrant cerise-red hyacinth, its vibrant colour makes it hard to miss in the garden. Very fragrant. Early spring flowering, 25cm tall.